A rollable container great for garage and yard projects. Perfect for small spaces and any DIY junk removal job. Worthy of a contractor, perfect for any driveway. Capable of handling your most demanding junk removal jobs. Why do you need a containter? 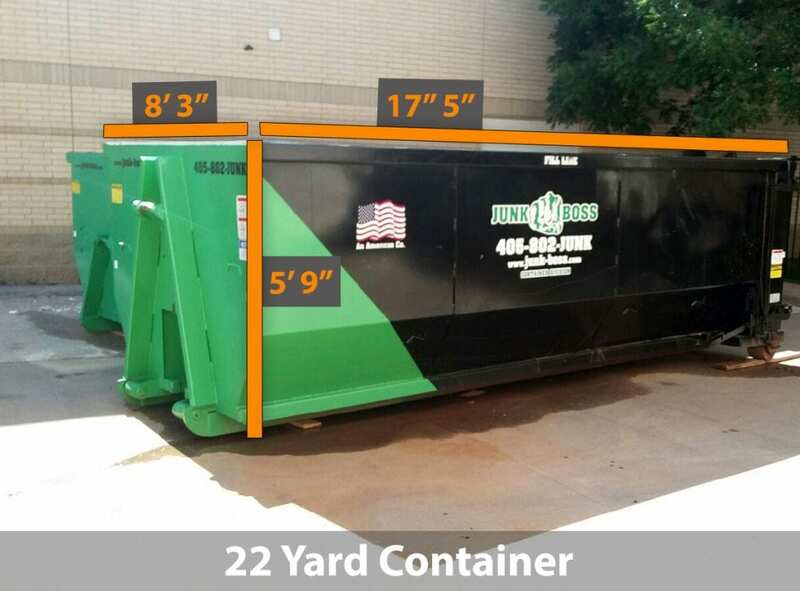 Junk Boss provides 6, 10, 15 and 22-yard dumpsters to handle any project you throw at us. From remodeling home projects to building completely new homes, Junk Boss is here to make the process easier. We provide professional service including text to drop-off and pick-up. We’ll even confirm via photos to make sure the dumpster was placed exactly where you want it. Junk Boss can make your next home project a breeze by giving you a dumpster to throw in everything you don’t need! From cleaning the garage and preparing to move to DIY home projects we have you covered. 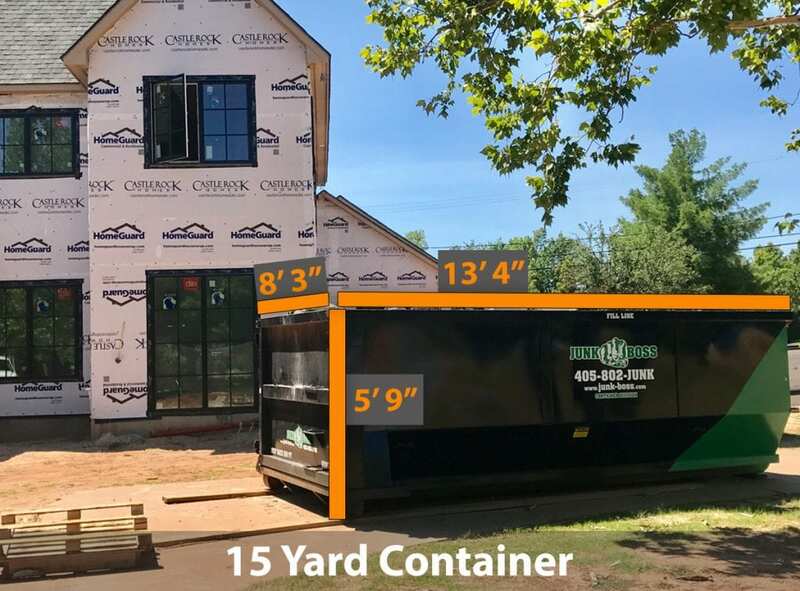 Our specialists can place containers in a variety of places including your driveway. We always place boards under the container so that it sits above your property and won’t damage the area it sits on. By renting your own dumpster you can work at your own pace and save money! 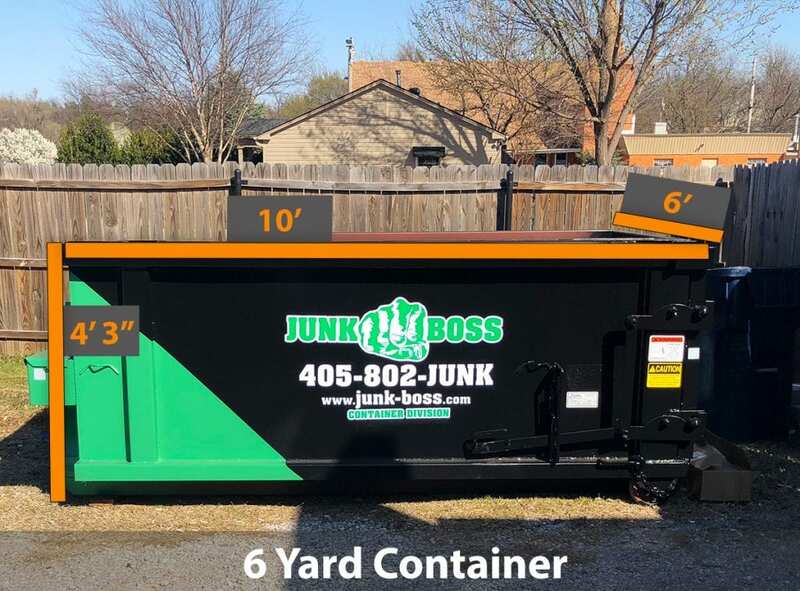 Whether you want to maintain a professional job site or keep eyesores off your property, Junk Boss delivers the CLEANEST dumpsters in Oklahoma City. We professionally clean every dumpster after we pick them up so that they’re clean and ready to go when you need them next. The best way to get an idea of what your project will need is to give us a call at 405-802-5865. Our junk removal and roll-off dumpster team will address your project on a personal basis, as each job offers a unique set of circumstances! 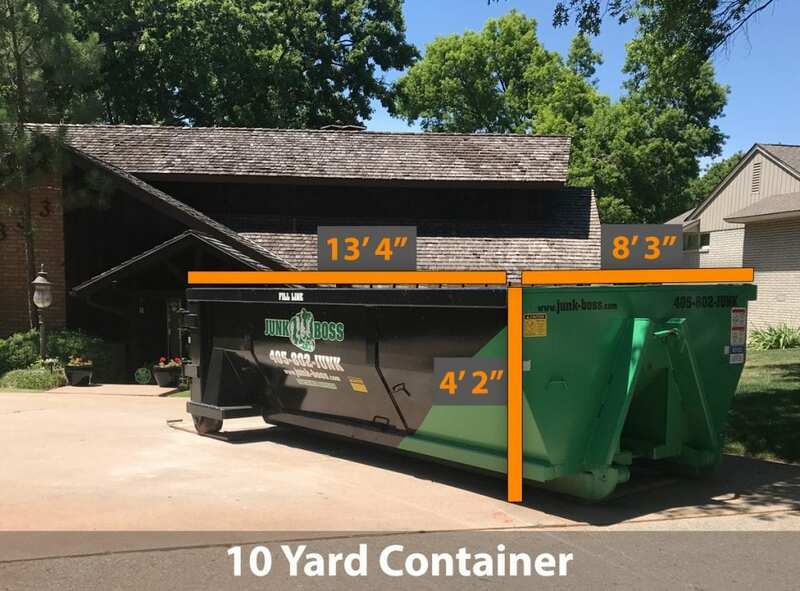 10 yard Roll Off Dumpsters we allow you to fill to 3.5 tons, so please be careful about dirt and rock! 15 yard Roll Off Dumpsters we allow you to fill to 4 tons, so please be careful about dirt and rock! 22 yard Roll Off Dumpsters we allow you to fill to 5 tons, so please be careful about dirt and rock! We will email you a picture of the delivered container AND a confirmation email with a second picture after removal is completed! *We DO NOT accept tires and refrigerators in the containers. Please inquire about our junk removal service for these items. *We DO NOT take hazerdous waste so please be mindful while using containers! *Extra charges may apply if set weight limits are exceeded – this is not easy to do! *If the container “Fill Line” is exceeded Junk Boss will not haul way the container PLUS an additional $50.00 trip fee will apply.